Transform logistics to help companies improve their supply chain management by developing integrated data intelligence software and offering a data-first service approach to solve problems. RateLinx helps companies by accelerating intelligence in their supply chain. Starting with the right data, RateLinx helps customers gain complete supply chain visibility, solve issues, save costs and build world-class logistics strategies through Integrated Data IntelligenceSM. 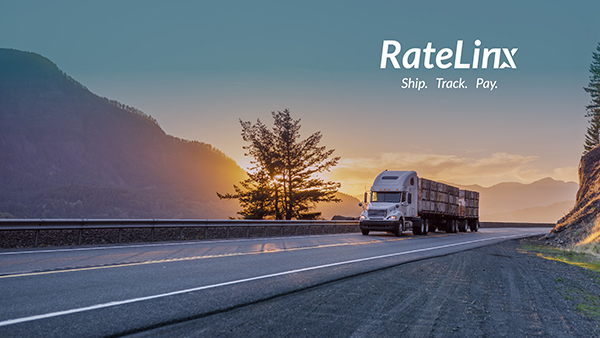 As the leading supply chain software and services company with the only completely integrated Data-as-a-Service (DaaS) technology platform, RateLinx uses a data-first approach called Logistics in 3D to diagnose the underlying problem and then develop and deploy a tailored solution—within 45 days and without requiring internal IT support. First, we diagnose your current situation starting with the right data, not just aggregated data. Intelligent Invoice ManagementSM (IIM) captures data at the source and automates cleansing and standardizing. Carrier invoice, track & trace, shipment, and order data are merged and normalized in real time to provide missing intelligence around a company’s logistics. With IIM’s standardized data foundation, our advanced analytics engine helps you develop strategies to address stubborn, underlying problems. Strategies are tested in the modeling environment to reveal any unintended consequences before making changes. Trusting data-driven decisions will lead to improved supply chain management and cost reductions. New strategies in place, you can monitor the processes in real time for complete visibility. When you need a new report or attribute added, our Managed Services team can turn your request around in a day or less. Customized with your goals and constraints, our software delivers data intelligence to quickly deploy your new strategy and solve problems faster, accelerating savings. Our Radar Track & Trace monitors orders before they are picked up by the carrier, alerts you if orders are in danger of being late, and proactively identifies the most cost-effective way to expedite the shipment. Unlike other tracking solutions, Radar Track & Trace data is integrated with your TMS planning function to ensure that the carrier pick-up date and the service or mode selected will allow the shipment to arrive on time. Because Radar Track & Trace data is integrated with the carrier invoice in IIM, you’ll have analytics around the financial impact of the shipping service and related upstream data about the service itself.